Recently we’ve noticed that more and more of our existing and future partners are inquiring about F5 Certification. As many of you already know, F5 has redesigned its certification program a few years ago and elevated it to a higher level. 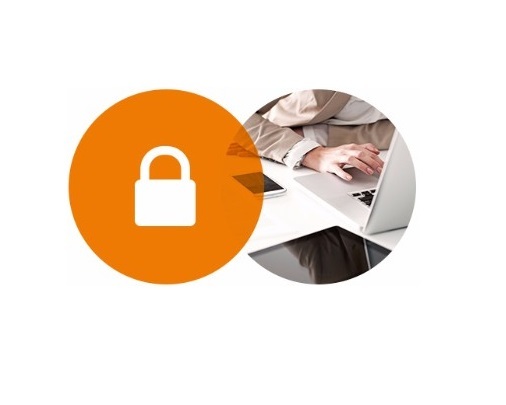 Revamped certification process security and a different approach to exam preparation guarantees employers that the person holding the F5 Certificate is an exceptional F5 engineer. This post will provide you with all the information and links for easier reference and to ensure you get acquainted with the F5 Certification process before or after starting on this path. In addition to your personal satisfaction for successfully passing the exam, acquiring specific number and types of certification, as well as accreditation, are some of the requirements for having a partner status within the F5 Unity Program. Without registering for a special user account, it won’t be possible to initiate the F5 Certification process. Here you will get your Candidate ID needed to apply for the exam. First visit the F5 Credential Management System and create your user account. F5 Certification program is divided into several progressive levels, meaning you have to demonstrate sufficient knowledge in each level before proceeding to the next, as shown in the following figure. Level 4xx is not shown in the diagram. To get access to 4xx exams, you must first pass all level 3xx exams or some other specific combination. Currently, you can take the 401–Security Solution Expert Exam which is available after passing all prerequisite level 3xx exams and grants you the F5 Certified Security Solution Expert certification. There are only three F5 Certified Security Solution Expert engineers currently employed in Croatian organizations. Official documents for exam prep can be found via the F5 Credential Management System – blueprints, study guides. Each blueprint lists the TMOS version on which the exam is based and sections/chapters that will appear in the exam together with the complexity rating. Unofficial materials, such as those found at https://university.f5.com, under “F5 Cert Exam Study Guides”, can be also extremely helpful when preparing to take your exam. Make sure to set aside enough time to read through all of these documents, as well as the additional links listed there. There is also the F5 Certified LinkedIn community to help connect you to peers, exchange experiences and find newest information on the F5 Certification program and certificates by joining other “F5 Certified! Professionals”. 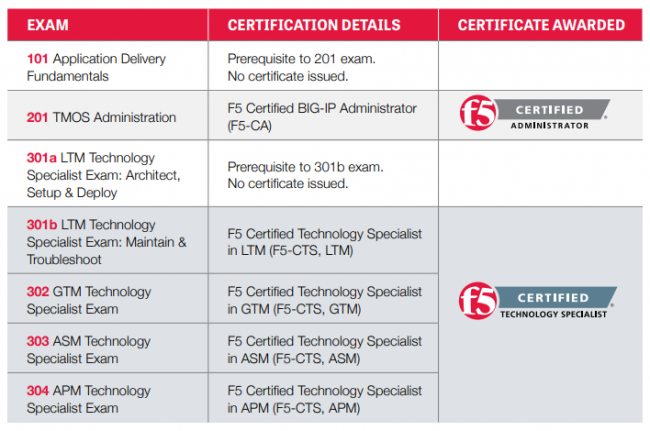 What are F5 Certified! practice exams? F5 gives you the opportunity to test your knowledge by taking various practice exams. You don’t have to visit your test center – simply access these exams anywhere and anytime you want. Practice exams simulate the conditions of the real exam with the same number of questions and same amount of time as on the real thing. Regardless of what you found on the Internet, this is the only real F5 practice exam – other sources are not affiliated with F5 and have misleading information on what the real exam may look like. These practice exams also cost $25 for one, or $40 for two exams. The cost of taking an exam is $135 and you can access it at the Pearson VUE test centers by first scheduling the exam appointment via https://home.pearsonvue.com/f5. The exam consists of 80 questions with the time limit of 120 minutes. After successfully passing the exam, you will become a proud owner of a new F5 Certificate which is valid for two years. Links to F5 websites are listed below, please feel free to send us an email with any questions to ana.perkov@veracompadria.com. Good luck with the exam! WAF – What, where, how and why? The Internet never sleeps – why do we need a load balancer?